Happy publication day to THE WELLNESS KITCHEN! Find it at B&N, IndieBound, and Amazon. Complete with step-by-step instructions and easy-to-find ingredients, The Wellness Kitchen will help you take those first steps toward a healthier and happier you. 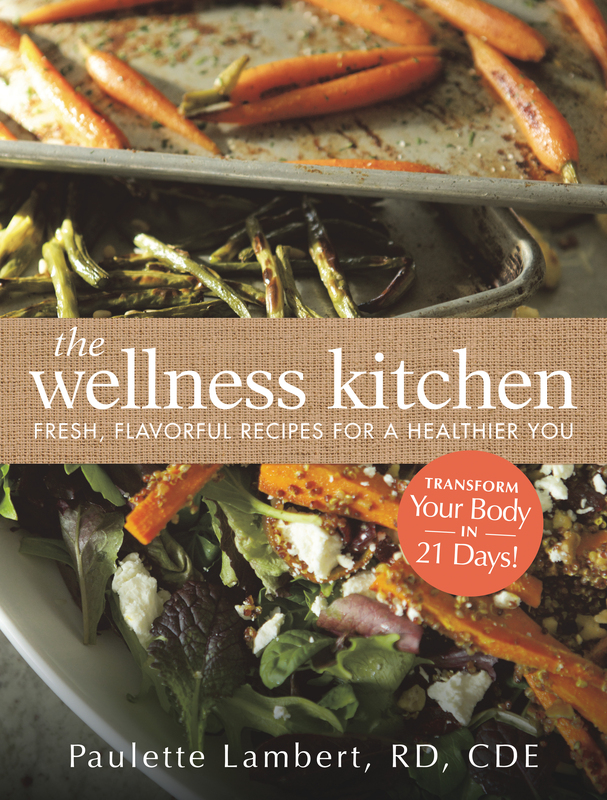 THE WELLNESS KITCHEN: Fresh, Flavorful Recipes for a Healthier You has a cover! This farm to table cookbook will be coming out December 2014 via Adams Media. Registered Dietitian, Director of Nutrition at the California Health & Longevity Institute, and former Nutrition Expert on ABC’s EXTREME WEIGHT LOSS Paulette Lambert’s THE WELLNESS KITCHEN, featuring the delicious, healthy, and disease preventative recipes that have already helped thousands of Americans lose weight on TV and at home, to Maria Ribas at Adams Media.